• Fixed a bug where the Crimson Vampire Bat and Crimson Ram were dealing 15% damage instead of 115% damage. • Fixed a bug where it was possible to trigger a timed lockout on the opponent during a shadow linker when they correctly timed a break attempt. • Fixed a bug where Shadow Enders could become counter breakable if the opponent recovered from a previous hit. Jago is a powerful character who doesn’t really struggle at any range or with any matchup. He has the game’s most powerful set of defensive tools, and he has a very potent offense, as well. The team wanted to maintain his defensive specialty, but slightly weaken his up close offense, and also make it more difficult for Jago to close in on his opponents. We still fully expect Jago to be a top 5 character after the changes below. They may seem dramatic, but we feel it is for the best for the overall game. • Light Windkick is now -4 on block (was -2). • Fixed a bug where Jago’s combo breaker would become vulnerable during the landing portion of its recovery. • Fixing a bug that caused Thunder to scoot forward when attempting a manual after a Shadow Call of Earth. • Fixed a bug where Gargos would not fall out of Orchid’s air throw properly. • Added the missing hitboxes to the startup of the linker version of Shadow Boneshaker. • Fixed a bug where j.MK would cause a ground bounce against opponents performing attacks that cause wall bounces. • Fixed a bug where Fulgore’s combo breaker would become vulnerable during the landing portion of its recovery. • Fixed a bug where it was not possible to Shadow Counter with LK+MP. • Fixed a bug where the Punishment message would not show up during the Air Shadow Eye Laser’s landing sequence. • Fixed a bug where the time out win animation would finish too early. • Fixed a bug where Powerline could be instinct canceled before hit. • Fixed a bug where TJ Combo would slide larger opponents across the stage during his Ultra combo activation. • Fixed a bug where the Punishment message would not show up during the Leap Kick Special landing sequence. • Fixed a bug where Maya’s throw would cause Gargos Minions to go flying. • Fixed a bug where Kan-Ra would become stuck in a single pose during Whirl if going over a sand trap while already cursed by another Kan-Ra. • Fixed a bug where Kan-Ra could not special cancel normals while a Shadow Sand Trap attack is also hitting. • Fixed a bug where you could juggle after Clutch into medium Spike without a Swarm around by increasing the air pushback of standing and crouching kicks. • Fixed a bug where you could not combo backwards Clutch into Sand Spike against some characters. • Fixed a bug causing Riptor to bounce off thin air during Talon Rake if her opponent was in blockstun from Mortars or Carpet. • Fixed a bug where you could whiff a sweep with Riptor to prevent quick rises. • Fixed a bug where Riptor would be launched very high if thrown out of a certain frame of her Tail Flip by Arbiter’s Prophet’s Bane. • Fixed a bug where Riptor could perform auto doubles while whiffing jumping normals when Flame Mortars are hitting. • Now showing the Recapture property for Special Tail Flip in training mode. • Fixed a bug causing Possession’s animation to slow down while cursed by Kan-Ra. • Now showing the Recapture and Stagger attack properties for Shadow Air OnRyoZan in training mode. • Fixed an input priority issue making her ultra not come out if you try a Shadow Linker Explosive Arc into ultra. • Fixed a bug where a combo only using the Shadow Explosive Arc Linker would make an ender occurring after it breakable. • Fixed a bug where Shadow Jago’s combo breaker would become vulnerable during the landing portion of its recovery. • Fixed a bug where auto doubles wouldn’t come out after medium or heavy Overhead Slash. • Fixed a bug where Arbiter’s back throw could be blocked if a character was thrown out of super freeze. • Fixed a bug causing Heavy Reaping Linker to consume less health if you held LP to trigger it than it did if you held MP. Both versions deal as much damage to Mira as the MP version now. • Fixed a bug where Gargos’ Air Madness Grabs would whiff if the opponent was attacking. • Fixed a bug where the player could not Stoneskin Explode during a hit if a minion was picked up. • Fixed a bug where the Minions could get stuck if Gargos is hit during his instinct and Explodes. • Fixed a bug where the throwee’s reaction animation would be flipped during the Air Madness grab. • Fixed a bug where the standing proxy guard boxes were not as tall as the idle boxes making the character rapidly transition back and forth between the guarding to walking back animation. • Added missing collision on Eyedol head switch animations to prevent opponents from passing through. • Fixed a bug where Eyedol would use the jump properties of whatever body he was in when instinct activates instead of the Warrior settings. • Made Sweep count as an opener so combos performed off of OTG hits become breakable as expected. • Fixed a bug where it was possible to not get Kilgore’s heavy linkers when holding the button for light and medium linkers. • Fixed an issue causing the chainguns to not spin during instinct. • Fixed a bug where Level 3 Metal Ball ender could cause opponents to fall out early. • Fixed a bug where the missiles could not be destroyed by projectile destroy boxes. • Fixed a bug where the forward HP command normal would cause a ground bounce when hitting a wall bounced opponent. • Fixed a bug where the Exploding Bullets would apply potential damage to Spinal if he absorbs them with Power Devour. • Reduced the chance that the standing HP bullets would whiff standing opponents. • Fixed a bug where the Level 1 Missile Pod ender was not using the correct animation. • Fixed a bug where players would get an ender instead of Shadow Chain Gun Dash Linker when inputting QCF+MP+HP from Shadow Chain Gun Dash linker or openers. • Fixed a bug where it was possible to Shadow Counter with 40% Shadow Meter. • Fixed a bug where players could not perform Shadow Counters with LK+MP. • Fixed a bug where Autodoubles would not come out after the training dummy performed Metal Ball after landing more than a certain distance from the opponent. • Made it possible to break the Shadow Metal Ball in opener/ender combos. • Fixed a bug where it was possible to get Heavy Auto Doubles blocked after performing an Overheated Heavy Chain Gun Dash. • Fixed a bug causing the throw to cause the opponent to blow out and spin in the air. • Fixed a bug that let you counter breaker on Shadow DP. • Fixed a bug where the medium and heavy Metal Ball specials would not land when expected while cursed by Kan-Ra. • Fixed a bug where a linker could be performed after a Shadow Linker Chain Gun Dash. • Fixed a bug where heavy autodoubles could drop when cursed by Kan-Ra following a Shadow Metal Ball ender. • Fixed a bug in Combo Breaker training where the Medium Metal Ball opener would come out when Heavy was expected. • Fixed a bug where Kilgore would not end combos with the Shadow Uppercut in Combo Breaker Training. • Fixed a bug where the projectiles during the Ultra could cause the opponent to be blown out. • Removed the Shadow Metal Ball Ender from combo breaker training since it wasn’t possible to combo into it from an opener, becoming breakable. 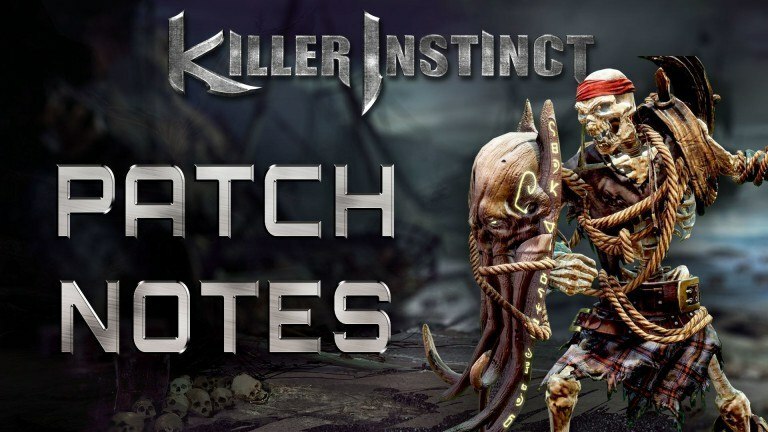 Patch 3.07 for Killer Instinct is already live. 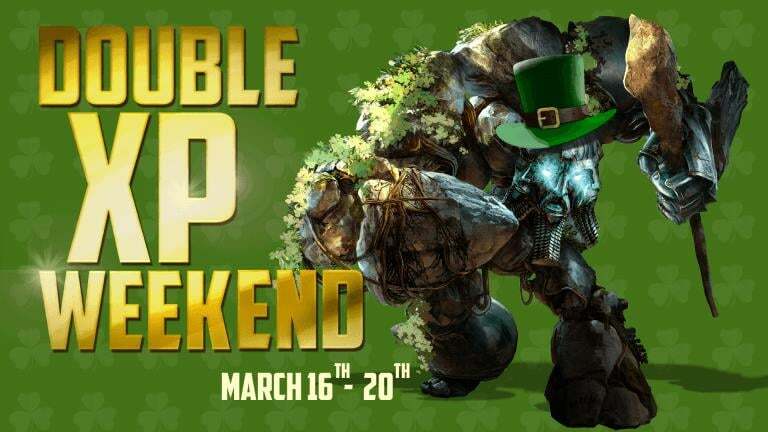 To go along with the latest patch, a Double XP event has also been announced. Starting later today, players will have the opportunity to double up on Base XP across all game modes. If you’re a “Season 3 Ultra Edition” owner, or you own the Supreme Edition of the game, you’ll already have a lifetime Double XP booster. Throw in the XP from the event on top of that, and you can bag yourself three times the amount this weekend! Then, to add even more sprinkles to the XP cake, you could go as far as purchasing a booster from the in-game store to give you four times the amount of normal XP too. If extra XP is of interest to you, you can start doubling up (or more) from “the later hours” of today through until Monday, March 20th.